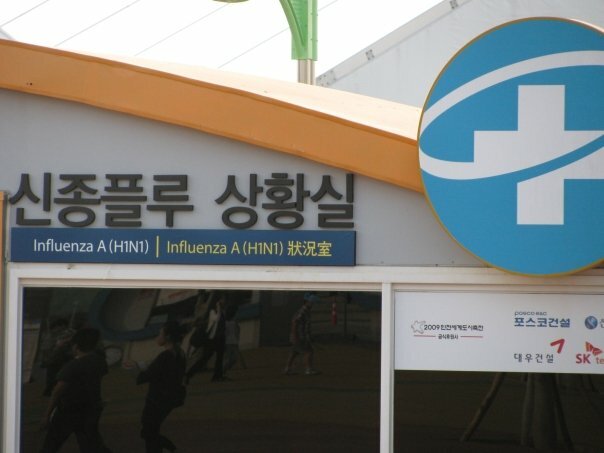 Koreans are scared of swine flu. I’m not sure how the everyday Americans feel about swine flu, but here people are scared. There have been many cancellations of public outdoor events for fare of spreading the illness. Personally I think that swine flu is a great thing for Korea. I remember Korea one year ago. Let’s say you want to use the bathroom. It doesn’t really matter where you use the facilities, you run into the same problem. 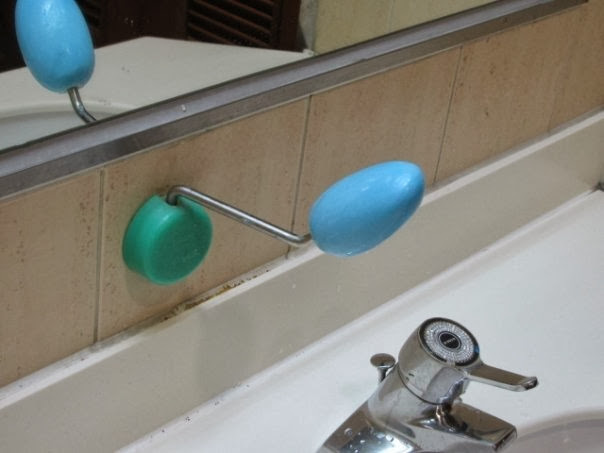 There is either no soap or you have to use a bar of soap that is attached to the sink via a metal rod. Sometimes the soap looks clean, but most of the time it’s look like the place where all evil originated. I still haven’t figured out whether it is better to use or not use the dirty bar of soap to wash my hands. I don’t want to shake hands. I always wash my hands. I either use the dirty soap, my own soap that I keep in my purse when I remember to bring it, or wash with only water. Most people, on the other hand, don’t even give the sink as much as a slight glance. They open their bathroom stall and head straight for the door. Some other things in Korea that have ended since a year ago are lots of open mouth coughing, open mouth sneezing, spitting, and snot rockets. I can’t even tell you the number of times I have almost been spat on or almost been the victim of a snot rocket attack. For those of you who don’t know what a snot rocket is, look at the video below. Now there is liquid soap in more bathrooms and hand sanitizers in many shops and fast food restaurants. In many public bathrooms there are new posters that give instructions on proper hand washing. Sadly, there is still a lot of uncovered coughing mouths and I don’t think that people will ever stop spitting everywhere. Along with the hundreds of hand sanitizer machines, there are also many “fluguns” installed where crowds are expected. This is a device that is supposed to kill flu germs, I think. 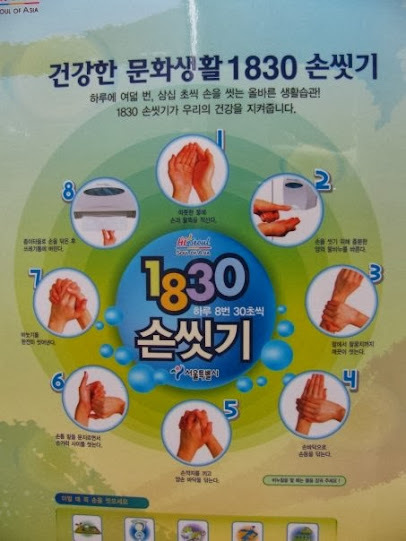 I doubt that it works, since after being “flugunned” about three times in Songdo I had a cold the next day. Whenever I see the word “international” in Korea, I become skeptical. 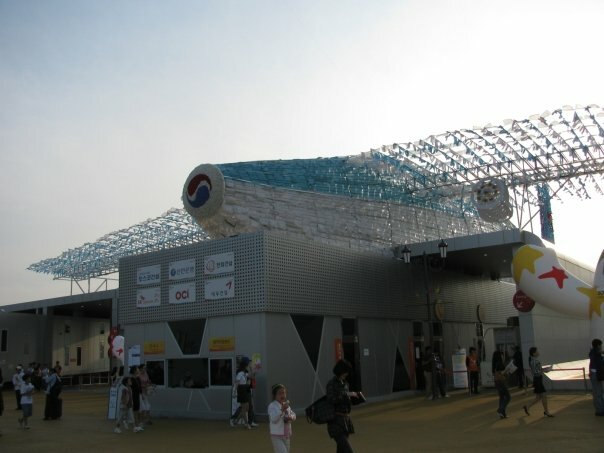 Take for example the international restaurant area right outside Lotte Word. They have a Japanese restaurant, a bad Chinese restaurant, a Korean version of an Italian restaurant, and about 1,001 Korean restaurants. So I was quite surprised at the fair when I saw countries like India, Turkey, and Sweden being represented. 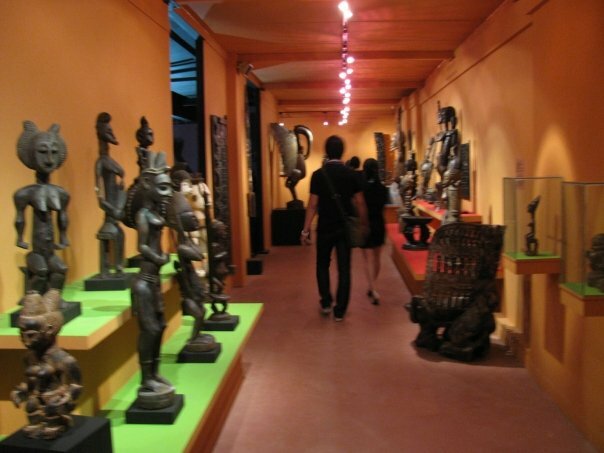 Africa was lumped together as if it were one giant country and for a minute, as we walked through the “pathway of Africa,” I thought it would be nothing but bare-breasted women with baskets on their heads, but the African Tribes Living Hall did have some nice African art and pottery exhibits. 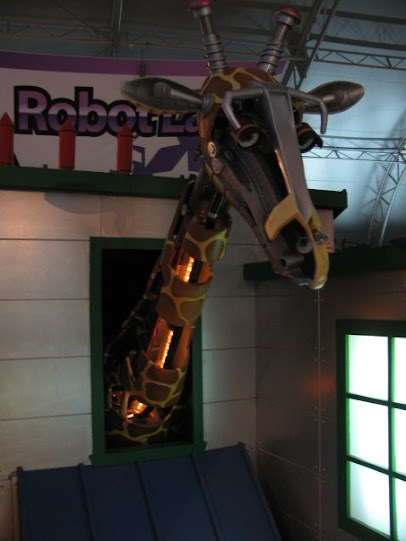 We were excited to check out the Robot Science Pavilion down High-Tech Plaza, but it too was disappointing. They did have robots that kids could control, but most of them were broken and needed maintenance. As I walked through the building I felt as if the designers of this exhibit just gave up and started putting up movie posters. Other than the gross misunderstanding of most non-Korean culture and totally misleading Robot Science Pavilion the fair was nice. There were carni rides and a short fireworks show at night to top everything off. I really hope they do this again next year! 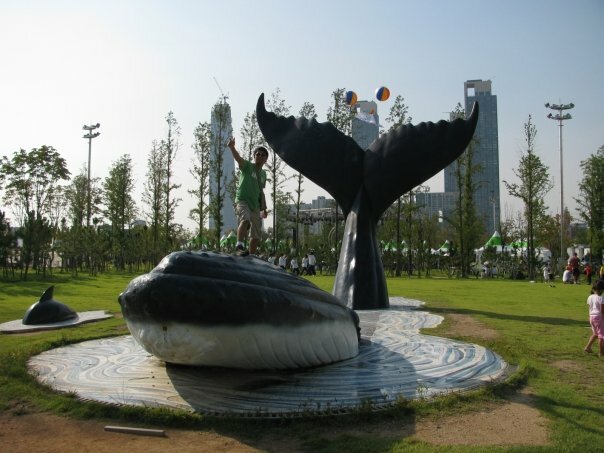 Take Seoul subway line #1 to Bupyoung (부평) then transfer to Incheon line #1. Get off at Techno Park station (테크노파크역), Central Park Station (센트럴파크) or any of the stops in between. 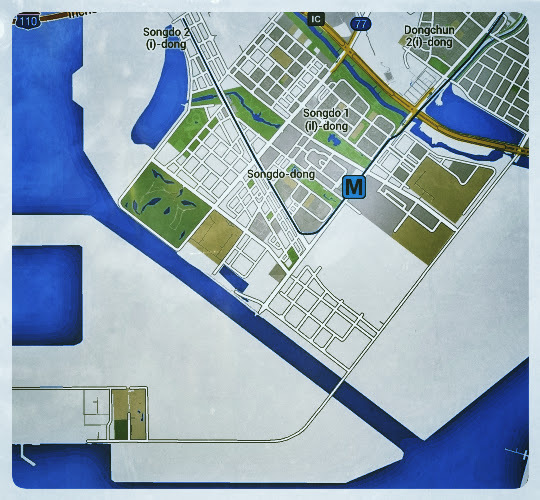 There are many red buses that go to Songdo from many places in Seoul. This is a really nice place to just walk around. From Seoul take Seoul subway line #1 to Bupyoung then transfer to Incheon line #1. Get off at Central Park Station. After 18:00 tickets cost 8,000KRW for adults.